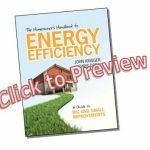 The Homeowner’s Handbook to Energy Efficiency provides informative, precise, and easy to understand information on how to make your home both energy efficient and a healthy, safe place for you to live and raise a family. Stay comfortable, both in summer and winter. Shade your windows to keep cool and reduce drafts in your home to stay warm in the winter! Minimize moisture in your house, to have a healthier home that will last for many years. Excess moisture allows mold and mildew to grow, which can lead to respiratory problems and asthma! 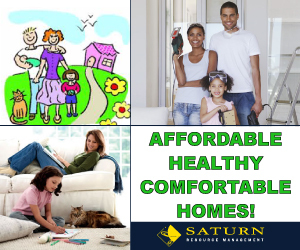 Make your home more energy efficient, saving you money and saving the planet for our future generations. Simple replacement of light bulbs can lead to noticeable savings! 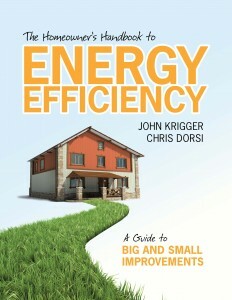 From building a new home to remodeling your existing home, this book is a must have for any home owner. Learn the meaning of R-Value and what is needed in your attic, floor, walls, and basement. R-50 for your attic is recommended for the best comfort in all climates. Learn all about fans and natural ventilation for cooling your home in the summer. Evaluate your heating system, and learn simple furnace maintenance methods to keep it running and providing heat when the cold weather comes calling. Simply changing a filter costing only 1 to 10 dollars allows your heating system to work more efficiently. This book can be yours for only $24.95. Act now and you use the Promo Code:MENews to get an additional 50% off your order! Are you interested in a job in the energy conservation field? We offer online training to get you started! Click HERE to learn more!